LITHUANIA. Sg.1-9. 1941 (Aug. 1). 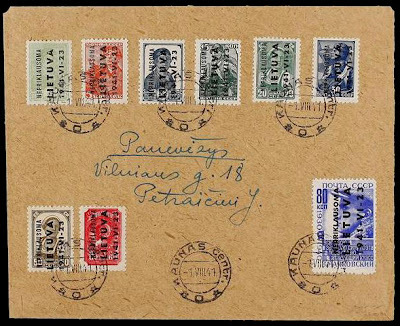 Philatelic cover to PANEVEZYS franked by complete set of nine June 1941 German Occupation first issue, all tied by neat KAUNAS cds´s in black. A rare issue.